When I stand before the Supreme Being, He ain’t gonna care what the courts here said. All our flimsy excuses, lame defenses aren’t gonna matter. We’re gonna look like fools before Christ, if we aren’t courageous here. We can’t use Romans 13 as an excuse not to stand against evil in our government. The hypocrisy is that we send money and Bibles to China, even though it’s illegal. But we’re afraid to “break the law” here in America. Rev. 21:8 “…but for the cowardly, the unbelieving, and abominable…” The cowardly are fearful. They’re supposed to be Christians. They’re the ones who bury their talents, because they’re afraid. If you think you’re going to stand for Christ, and not have conflict and confrontation, you’re deceived. Don’t give up the fight, for a little comfort. Be willing to give all for Christ. Including your earthly goods and reputation. The worldly justice system is unjust. We know that. 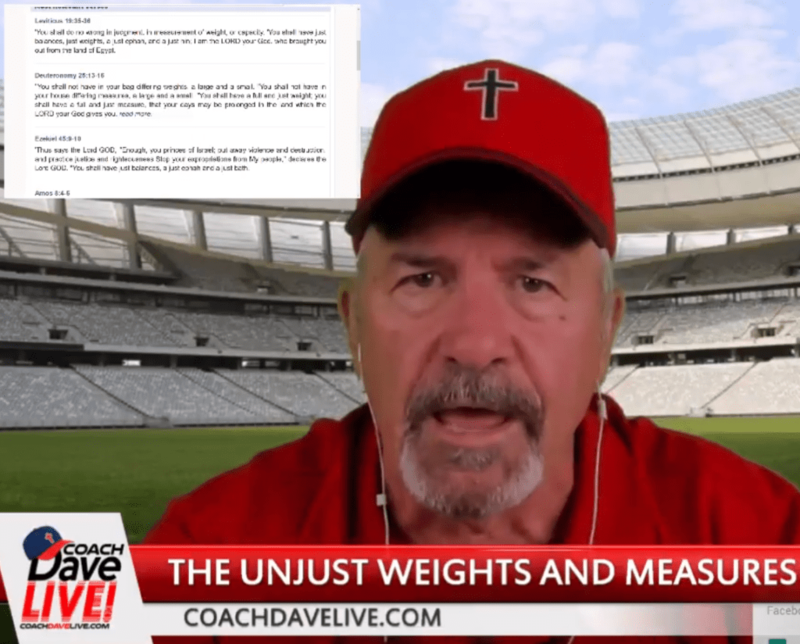 We also know that God hates unjust weights and measures. There are twelve Scriptures that deal with this. We make choices to make people mad, going where they don’t want you to go, in order to stand up against sin. We’re picking a fight, but we make ourselves vulnerable. But I’m a soldier of the Cross. On the offense for Jesus.